It's been more than 15 years since celebrated chef Hisayuki "Max" Muramatsu opened his stylish-yet-friendly eatery in Pacific Grove on the Monterey Peninsula. Max is a Tokyo-born, French-trained, award winning chef who cooked at Maxim's of Paris in Tokyo and was twice named best chef in Tokyo. He is well known as the former executive chef at the prestigious Anton & Michel in Carmel. His charming wife Yuko is in charge of the front of the house. 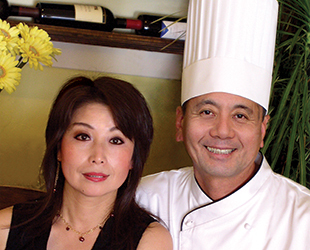 Max and Yuko are flying high from rave reviews of Max's artfully displayed, delicious dishes. 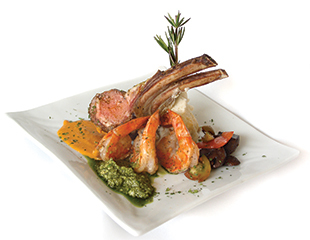 Each plate is prepared with a casual, international flair, outstanding culinary techniques and fresh California tastes. 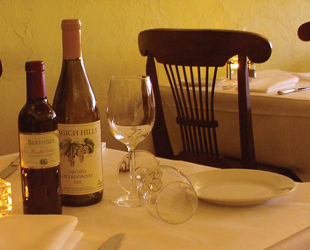 A Premium-Yet-Modest Wine List Is Assembled To Compliment The Dining Experience. Max's Guests Are Also Invited To Bring Their Own Favorite Bottle Of Wine for a reasonable corkage fee To Enjoy With Their Meal. Private Parties Up To 30 Can Be Accommodated In A Separate Section Of The Restaurant, And Most Menu Items Are Available To Go. Contact Us For Reservations And More Information.